even if it means convincing Evie to move in with them. And despite her vow to keep an emotional distance, Evie can't help but be moved by Taryn's spirit, or Brodie's determination to win her help—and her heart. With laughter, courage and more than a little help from the kindhearted people of Hope's Crossing, Taryn may get the healing she deserves—and Evie and Brodie might just find a love they never knew could exist. 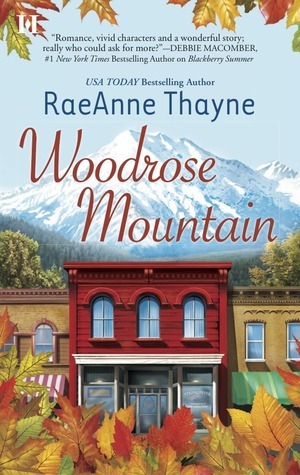 Woodrose Mountain by RaeAnne Thayne is a small-town romance. Small-town romances are popular at the moment and they all seem to have a few things in common: the small-town atmosphere, the town's occupants become an integral part of the romance, and kissing or petting are the set boundaries for sexual contact between the protagonists. All of the above mentioned apply to the Hope's Crossing series. The romance in this second installment is between Evie Blanchard and Brodie Thorne, however I would say that there are actually three main characters. The third and very important central character is Taryn, Brodie's daughter. The central plot to this story revolves around Taryn, and the romance between Evie and Brodie, although integrated, takes the place of a secondary storyline. Evie and Brodie dislike each other. Brodie's daughter Taryn is coming home and needs special home care and a physical therapist is a most. Evie is licensed physical therapist, but she no longer practices for personal reasons. She has found peace and a new passion in designing bead jewelry for the String Fever Boutique. When Brodie asks Evie to help him with his daughter, she turns him down flat. Evie's reasons for turning down the job offer from Brodie are understandable, but Brodie's mother Katherine convinces her to help them set up a treatment plan for a two-week period. Taryn received severe brain injuries during a tragic automobile accident that left her severely incapacitated, one teenage girl dead, and Charlie Beaumont the town's pariah. Eventually Evie caves in, setting the stage for the romance and the story. Most of the story that follows is all about Taryn and the physical and occupational therapy that eventually help her overcome some of the obstacles presented by her disabilities, plus the final emotional resolution to the accident that caused it all. The town and its inhabitants are all affected by Taryn's injuries, Layla's death and Charlie Beaumont's actions. As I've come to expect from this author, this section of the story is well executed, researched and developed by Thayne. Plus, if you are like me, you will find this storyline quite emotional -- a tear jerker! I recommend keeping a box of tissues by your side. Unfortunately, the romance between Evie and Brodie takes a back seat and that lack of focus on the couple is felt throughout the story. Evie has personal baggage and she's reluctant to shed it for Brodie. Brodie is a bit of an enigma even at the end. We know that he cares for Evie because of his internal dialog and he seems to forgive her mistakes rather easily along the way. There's mention throughout the story that he suffers from ADD, but there's little proof of this. We do know that he's a concerned and loving father, but that sizzle and connection that the reader feels when a man loves a woman is lacking. 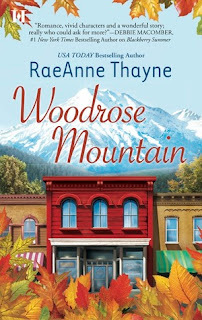 Woodrose Mountain is the second book in RaeAnne Thayne's contemporary romance series, Hope's Crossing. 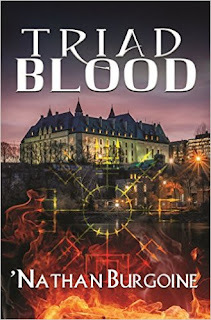 I have enjoyed category romances by this author in the past, and when offered this full-length novel for review could not pass up the opportunity of reading it. Although for me the romance is lukewarm and the couple lacks connection, as a small-town contemporary romance this story succeeds in that the town and its occupants become characters that the reader wants to know. As a big plus, the plot is well researched and interesting to the end. In the end, Woodrose Mountain is one of those books where I love the writing and execution but wished for a bit more when it comes to the romance. A mixed bag. Lovely review Hils. Hmmm. The book kind of reminds me (probably because of the small town feel :) of the Virgin River series. I still haven't picked up any of the small town contemporary romances yet. I don't know why they're just not calling to me. Maybe I'm holding out for just the right one.